Semi-random underline keyboard strikes, spaced and part-extended. 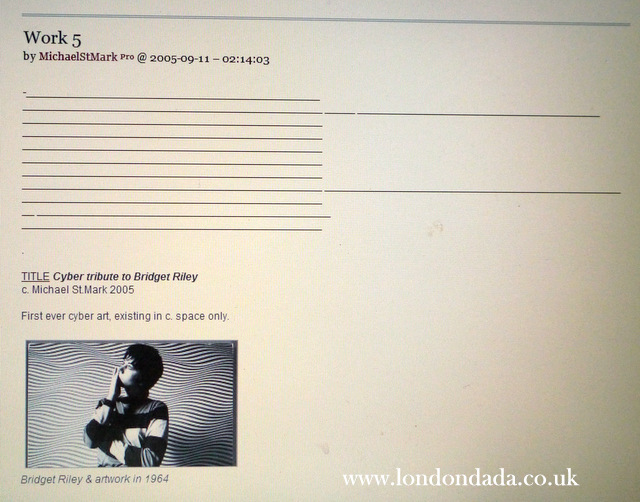 Uploaded online 11th Sept 2005. 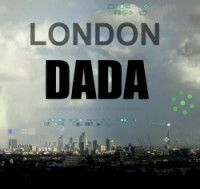 From londondada.blog.co.uk ; possibly the first artwork created to exist solely in cyberspace. variations-on-stripes style that often had a migrainous effect on the viewer. Linkback to the original work here.